modmove | Cluedo! The Interactive Game returns to Brisbane this April! Cluedo! The Interactive Game returns to Brisbane this April! An evening of music, mayhem and mystery will turn to murder in a fascinating tale of secrets and revenge in the golden age of high society when Cluedo! The Interactive Game returns to Brisbane. Queensland’s biggest ever immersive theatre season promises more melodrama, more laughter, and more suspense as the popular murder-mystery game leaps off the board and into one of the city’s Heritage-listed buildings. Audience members are called upon to play the part of guests and amateur sleuths at a doomed 1930s cocktail party and must collect clues throughout the evening to solve the bloody crime. “Cluedo! The Interactive Game is like if Agatha Christie and Jay Gatsby threw the vintage party of the decade,” Mr Lynskey said. The scandalous mystery plays out in Fortitude Valley heritage gem Baedeker Wine Bar with performances from 17 April to 25 May 2019. 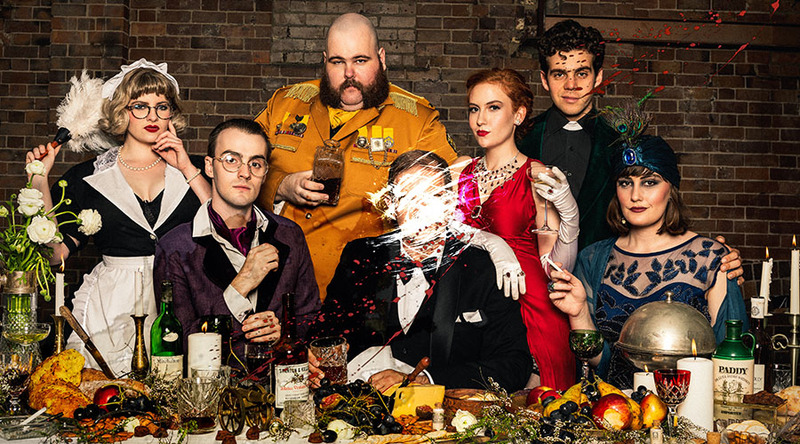 Brisbane Immersive artistic director Xanthe Jones said Cluedo! The Interactive Game was more than just a theatrical re-imagining of the classic board game. “We want guests to feel like they are a VIP member of 1930s high society, so we have made sure every element works together to create an immersive world,” Ms Jones said. “From the moment they enter the incredible venue, guests are greeted by the party’s host, Doctor Black, given a glass of delicious bubbles and integrated into the swirl of rumours and crime within the glamourous world of the socialites that make up our Cluedo characters. This is an 18+ event. Cluedo © 2018 Hasbro. Used with permission.